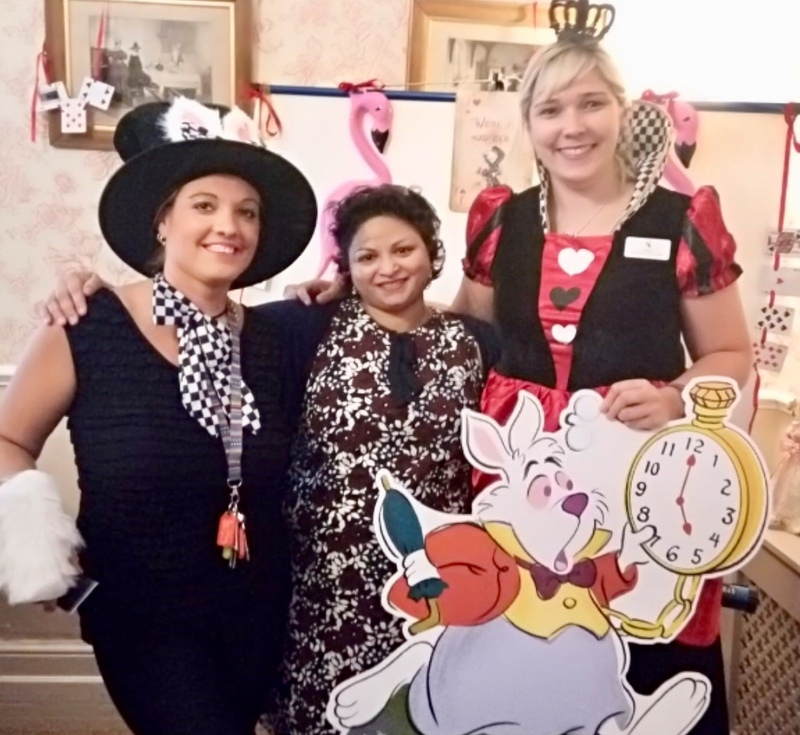 MEMBERS of Knutsford Hosts celebrated their connection with Sharston House by supporting a Mad Hatter’s Tea Party at the nursing home. Hosts organiser Sarah Flannery dressed as Alice for the event, while staff, residents and visitors also donned fancy dress and an array of hats. Among the visitors were PCSO Courtney Nancollas, Knutsford May Queen Sophie Howarth, Knutsford Lions, Knutsford Guides and friends from St Cross Church. The event raised nearly £200 for the residents’ funds to pay for future outings, including one to the Christmas Tree Festival at St Cross Church. Stacey Hinton, activities co-ordinator at the home in Manor Park South, Knutsford, said: “I’d like to thank the hosts, many of whom came along to help out and have a look around our home. “They have become great friends and supporters of Sharston House and have helped set up a befriending scheme with volunteers regularly visiting residents. “The scheme has worked very well and residents look forward to their visits. She said they planned to take as many residents as possible to the Christmas Tree Festival. “We will get to see our own Sharston Tree for which residents will be making decorations,” she said. This entry was posted in News and tagged Knutsford, Knutsford Guardian, Knutsford Hosts, Sharston House, volunteer by Host. Bookmark the permalink.